Gladwyne Montessori is an independent Montessori school, nestled along Philadelphia’s Main Line. Since 1962, our students have excelled in area middle and high schools and gone on to succeed at top colleges and universities across the country. A Gladwyne Montessori education combines the time-tested and visionary insights of Dr. Maria Montessori with the ever-evolving world of advanced technology and modern research. The result is a confident, curious and academically superior student prepared to compete in the 21st Century economy. For over 50 years, with Dr. Maria Montessori’s research-based philosophy and curriculum as our foundation, we’ve provided toddlers to adolescents living in Gladwyne, Ardmore, Bala Cynwyd, Bryn Mawr, Haverford, Narberth, Philadelphia, Radnor, Wayne and surrounding neighborhoods an authentic, individualized learning experience that cultivates an unparalleled depth of knowledge. We are proud that our faculty is an exceptional team of professionals; our head teachers, all Montessori credentialed, elevate this well-established, highly loved and respected school to heights that ensure both its longevity and continued wide-spread impact. Maria Montessori believed that children are intrinsically motivated and that through freedom of movement and choice, children would grow to be disciplined, self-driven, independent learners. Immersed in their thoughtfully prepared learning environments, and surrounded by a culture grounded in respect, children who attend an accredited Montessori school gain a deep appreciation for the process of learning and find themselves eagerly and courageously facing even the most challenging obstacles. At Gladwyne Montessori School, our community is passionately dedicated to Maria Montessori’s research-based philosophy, and as a result, the possibilities for our children are endless. The Montessori classroom environment and curriculum are designed to support each individual child’s specific needs and abilities, allowing the child to explore and learn at his or her own pace. A child’s natural curiosity is nurtured, rather than stifled by the limitations of “teaching to the test” and standardization. The combination of uninterrupted work periods and individualized lessons teach students to effectively problem solve, manage time, and think differently. Our Montessori programs are grounded in an authentic, respect-based partnership at all levels. Our Montessori Toddler program for children age 2 allows toddlers to explore and experiment with their thoughtfully prepared environment using developmentally appropriate tools to participate in purposeful activities such as slicing fruit, carefully scrubbing a table, or putting out tiny cloth placemats, china and glassware for a group snack. Our Montessori preschool and kindergarten program, builds the foundation for future academic success as well as the necessary skills to meet 21st century demands: growing autonomy, independence, cooperation, collaboration, and flexibility. The Primary program for children ages 3-6 allows children to remain in the same classroom for the entire three-year cycle, benefitting from a stable community and forging meaningful bonds. Not only do the children receive formal lessons from the teacher, they are afforded the opportunity to learn through observation and imitation of their classmates. Unlike traditional preschools and kindergartens, our program includes formal lessons in practical life as well as advanced opportunities to learn early numeracy and literacy. In fact, most of our kindergarteners complete the third year of this cycle reading at or above a first grade level and have already acquired basic algebraic concepts! In our elementary program, the teacher presents an individualized plan for each child based on the Montessori curriculum as well as the teachers’ careful observations and detailed record-keeping. This individualized learning within our Montessori elementary school allows students to learn at their own pace and receive lessons specific to their learning style. In our elementary program, our students are learning triple digit multiplication before they reach third grade and most of our young learners are reading at least one year above their grade level. Our goal at Gladwyne Montessori is to provide a quality Montessori education and programs to support the growing needs and interests of your child in every step of his or her development. While there are other Montessori credentialed schools in the Greater Philadelphia area, Gladwyne Montessori is the only American Montessori Society accredited Montessori school serving children from age 2 to the 6th grade within a 30 mile radius. At Gladwyne Montessori, we believe an optimal learning environment strengthens and challenges a child’s unique academic abilities in ways that are far more meaningful than what can be gleaned from standardized tests. The hands on, in-depth, individualized learning at Gladwyne Montessori is the education of the future: here, now. 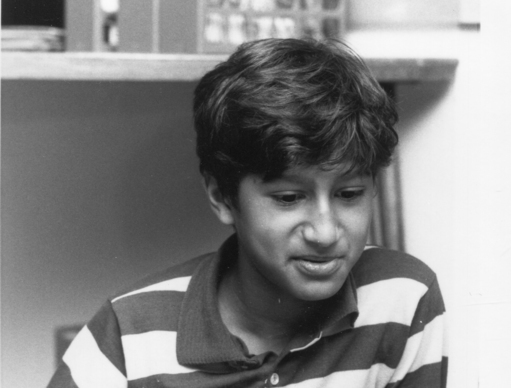 An assistant professor of pharmaceutical health services research at the University of Maryland School of Pharmacy and an associate editor at The BMJ, Peter Doshi considers Gladwyne Montessori's child-driven approach to learning and its role in his life after graduating in 1992. 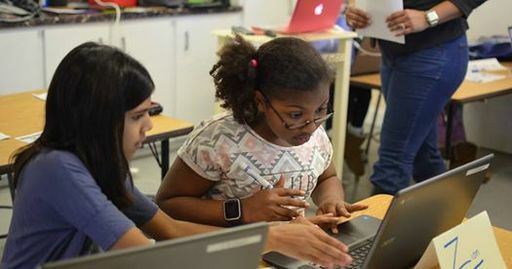 On Thursday, April 25 from 6:00-8:30 p.m., our school will host a TechGirlz workshop for 5th-8th grade students. Attendees will explore Piktochart and create their own infographic! AMS Conference in Washington D.C. 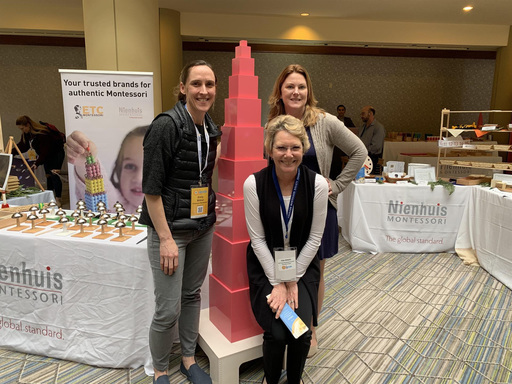 Along with over 4,000 other Montessorians from all over the world, Head of School Carrie Kries, Primary Teaching Assistant Emily Bittner, and Makerspace Teacher Melissa Sugzdinis traveled to Washington D.C. over the March 22 weekend for the American Montessori Society's annual conference. A special congratulations goes to Emily Bittner for being selected to participate in the Emerging Leaders Fellowship Program! Read More about AMS Conference in Washington D.C.